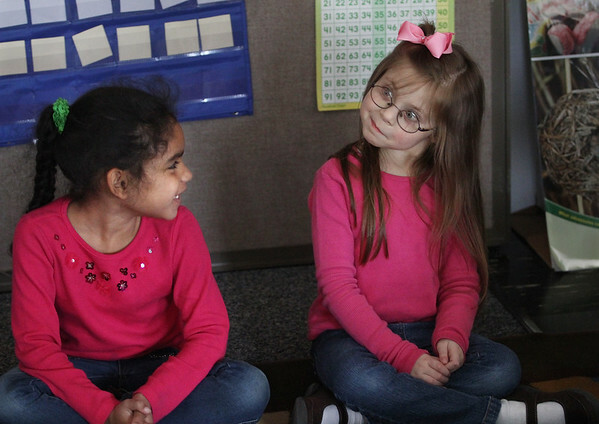 Kindergartener Angelis Cruz, left, enjoys a funny face made by her classmate Madison Curcuru during a weekly lesson designed to instill social and emotional skills in Alyson Von der Esch's kindergarten class at Veterans Elementary School in Gloucester. The lessons, taught every Monday in all grades, are from the Second Step program developed by the Seattle based non-profit Committee for Children. The program is intended to promote empathy and self-control.